"THE ADVENTURE BEGINS WHERE THE ROAD ENDS!" 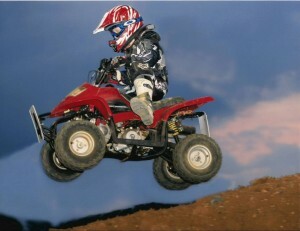 Christopher for the most part is an average 11 year old boy who loves to race and ride his Apex 90cc ATV. He wears the gear and looks like everyone else but underneath he is very different. Christopher has Autism, but while on his ATV you would never know. Christopher is always on the go! 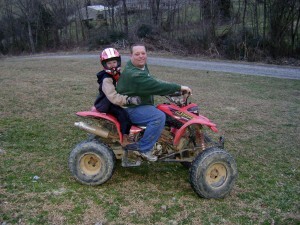 He loves to be outside doing something but he truly loves to ride and race his ATV. He has always been active and has tried lots of different sports through the years with really no success. In 2008 at age 8 his grandparents bought him a 70cc ATV to just ride and have fun but he seems to always push the limits in the yard and doing doughnuts. 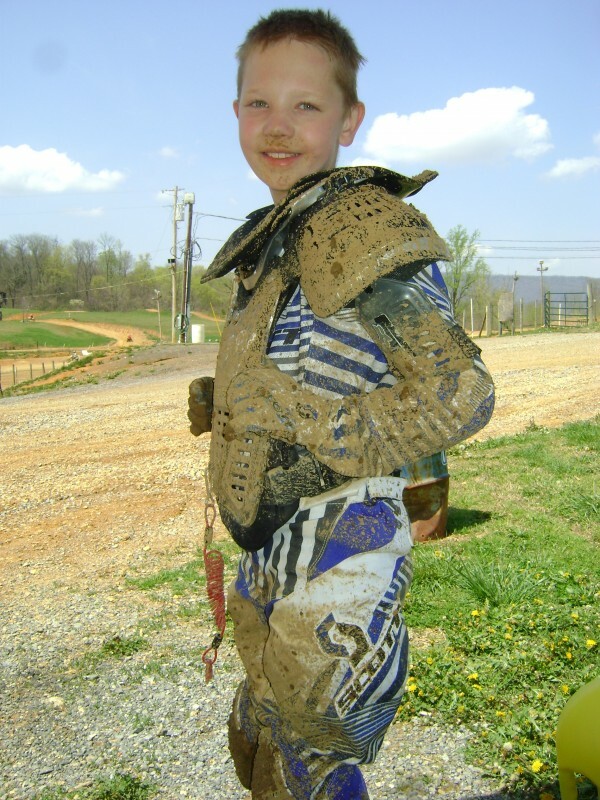 As a family we’ve always enjoyed watching motocross and Christopher had heard the story’s of the days when his parents raced. In August 2010 we asked him if he would like to visit the local fair to watch the Motocross race that takes place there yearly. Christopher said yes but minutes later asked if he could race? We knew he could ride with no problem but the rules and comprehension of a race was something we did not know if he could do. So we scrambled to get him the proper protection every rider needs and headed out to a local practice track to see how he would do. He clearly could handle the track. After a week of working with him the time had come to race. His first race night he had many obstacles including dealing with all the noises that come from being at a race. During his first race the yellow flag came out for a stalled rider, Christopher thought he was to stop and help the boy or at least not go around him, and then when the white flag came out he exited the track. With the help of some parents they quickly were able to get him out there to finish the race. After several races and keeping a routine Christopher is able race with no help at all and even trying to look like a pro on the track! He has fallen off his ATV a couple times and has been hit by a rider but we watch him get right back on and keep going. 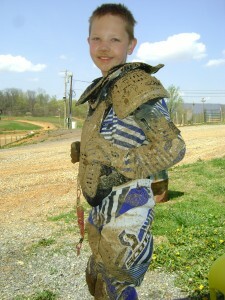 As his parents we have found that the motocross/racing community is just a big family. We were concerned that the other riders would treat him different but it was completely the opposite. The riders treat him just like a brother and at the track they are riding bikes and talking about things that kids their age do. Motocross and ATV’ing has really help Christopher in so many ways. It has helped him overcome or at least deal with many issues that come with having Autism. He struggles with personal obstacles at every race but we find with some effort from us all he gets through it. This sport makes him step out of his box and try new things. Christopher placed 5th overall in the Dunlop Summer Nights SX Series hosted by Victory Sports. After the 2010 season ended we realized that he had proved himself and had completely wore his bike out. So In November of 2010 we purchased a 2008 Apex 90cc mini quad. He now can race in style and comfort. He loves his new bike and knows what it should do and not do. He lets us know when something is just not right. He is completely in tune with his quad! The motocross world is an incredible world. We found out that many companies support riders of all levels. 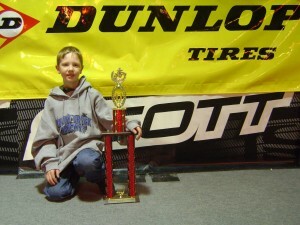 Christopher was able to pick up sponsors for the 2011 season including AMSOIL, DWT, MXPRINTS.com, SCOTT, TORC1 Racing, P & J Machine & Mold, and is a team rider for APEX Mini Quads. Racing has brought our family closer than ever. We work on the bike, travel, camp, and more as a family! We enjoy the time together and the time we share with our racing family. 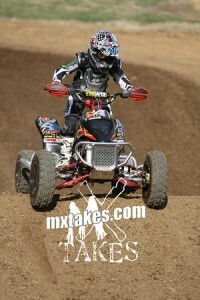 Each child has a gift and is good at something and for Christopher that something is ATV racing! Now ,THAT”S what I’m Talkin’ ’bout ! This story just made my day ! You GO Christopher ! You da’ MAN ! Maybe one day, if the planets are in proper alignment, we will be able to ride together, and you can teach me how to be a WINNER ! Ride Hard,… Ride Safe,… and Keep the Rubber Side Down! That was a great story, Christopher that is a great accompishment you have done there. Great story, and very well written. Have you seen the video contest the AMA is doing to fight the youth ATV ban? I would think video with this story in it somehow would have a great chance of winning, and would really show the benefits of letting kids ride early. I can’t figure out how to insert a link, so you can copy and paste the website if you are interested. Well I guess it posted as a link after all. About the ban on kid’s bikes…that’s crazy & we are going to do our part! If it wasn’t for ATV’ing I just don’t know what Christopher would do? When he rides or races it helps him in sooo many ways including focuses more, eating better, & he rest better at night! I sure hope congress worries about more important things than taking away bikes from kids! I am very proud of you guys. You are awesome supportive parents and have shown Chris that he can do anything that he puts his mind to. It is great that he is able to oversome the struggles that autistic children have and push himself to succeed. I am very proud of you Chris as well as Tim & Stephanie!! Good Luck out there and even though you may not win them all, Keep your head up and keep racing because you are AWESOME little guy !!! This article is great!! Chris has made such of a improvement this year, its unreal! !See my son races with Chris. I have watched and cheered Chris on every week. HE is something! The hole shots he gets,my god! (can you tell me where to get them?) 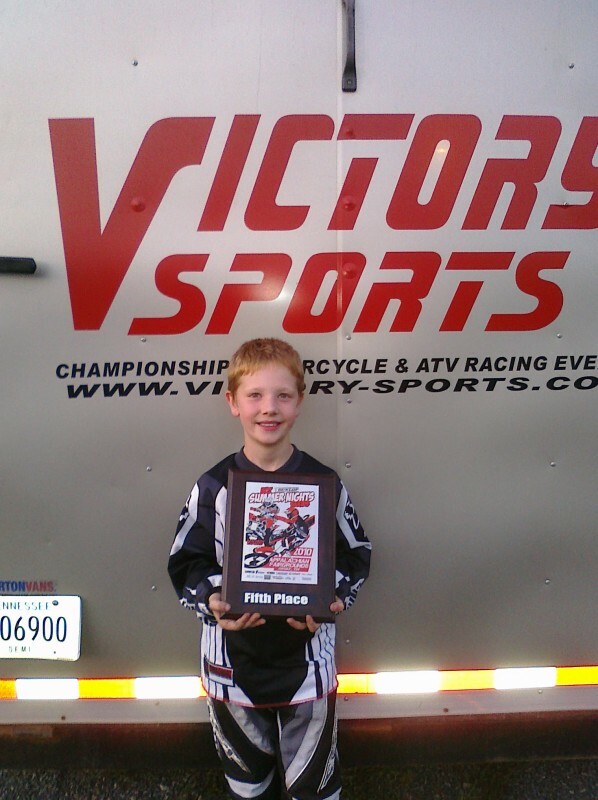 NO realy Tim & Stephanie your great parents, Chris your a heck of a kid and a racer, keep it up little buddy its great racing with ya! this article was so close to home for me as i have a son who is probably the same age as you son christopher and is also autistic and races quads.He has gone through the same problems as yours and we had to fight for him to get his licence even though he was winning races.If it had not been for the racing community giving refferences he may never have got it, and it is like you said even in the uk they are like one big happy family.Our son races a modified 50 in mx races and a 100cc in the endurance racing and has proved to everyone what he is capable of and is now racing against kids doing the british championship.the quads he rides are the same as your sons but are called prosharks in the uk.If you type in ‘8 yr old autistic boy quad racing you can see him on you tube.Hope your son has a good year racing and enjoys himself as much as ours because the smile on his face is priceless when he races and wins a trophy. Subscribe to RSS or enter you email to receive newsletter for news, articles, and updates about what's new. Toy Hauler Adventures Copyright © 2019 Gluckman Enterprises Inc. All Rights Reserved. held responsible or liable for use of the content or information.